Vir grew up in Venice, California. From an early age, he was exposed to eclectic musical instruments. Vir is known for his musical comedy, as well as his children’s music (among other things). 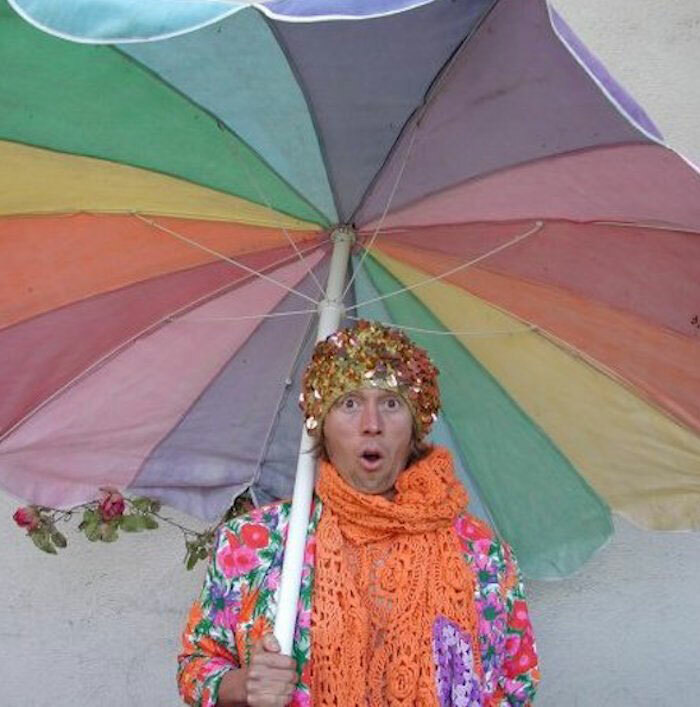 He has 4 kids’ music albums out: two from the Bay Area Kids Band Kid Kaleidescope, and Octapretzel. Vir has been writing kids’ music since 2001. He also created and narrated a full audio book called ‘Ephram Fomp and his Bigtime Sandals’, which has become a cult classic for those who know it. Vir also creates and performs musical comedy, which is interrelated with his funny, funky sun-shiney kids’ songs. His message is always educational, and eco-friendly. He aims to uplift via whimsical and irresistibly delightful music. He is joined by guest Heather Christie, a soulful singer. Vir teaches music lessons to kids all around California.